To find out more about Bryne Football Club click on the logo. 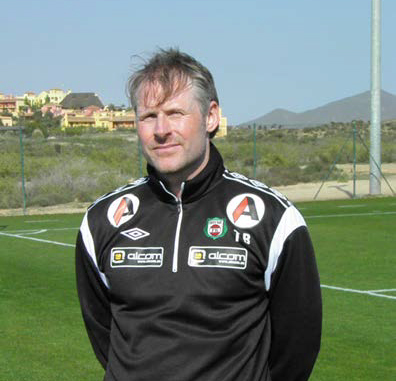 Bryne Football Club Team Manager Tommy Bergersen, five coaches and his squad of 23 players – which currently competes in the first division of the Norwegian Football League, returned to the Desert Springs Football Academy established at the Desert Springs Resort in Almeria, south east Spain for their fourth consecutive year, to complete their 4 day warm weather winter training programme between Tuesday 06th - Saturday 10th March. 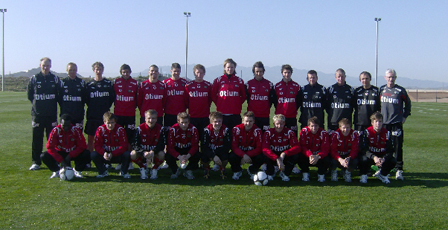 During their stay at the Desert Springs Resort the Bryne players have benefited from training and coaching on the Football Academies world-class international-size grass pitch. An exterior hard standing area provided space for the use of facilities such as a free weights gym, stretching mats and a medical area. The players also made use of a specifically designed grass area for goal-keeper training and five-a-side games. 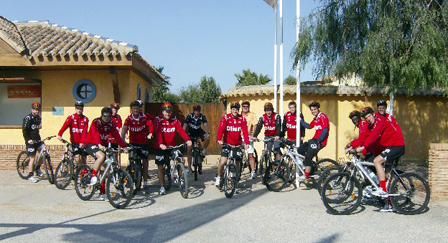 The Bryne players and officials were accommodated in some of the privately-owned apartments normally reserved for holidays and short breaks at Desert Springs and the resort’s executive chef was on hand to cater for the special dietary requirements of individual players dining in the resort’s two restaurants – the award-winning El Torrente and the Croc Restaurant, part of the family-friendly Crocodile Club. Clubs opting for warm weather training packages can make full use of the 18-hole Indiana golf course and enjoy opportunities to swim, play tennis and use the gymnasium, trim trail, jogging tracks, paddle tennis and beach volley ball courts.They also have access to the resort’s Private Reserve which incorporates a spa, private sauna and jacuzzi suite, personal fitness workout room, games room with bar, and a home cinema. Already well known as a resort specialising in family holidays, Desert Springs is gaining popularity as a centre for warm-weather training for golfers and footballers, as well as cricketers. 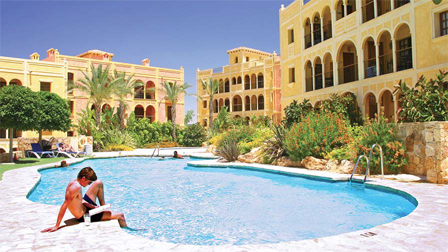 For enquiries call the Cheltenham-based Almanzora Group +44 (0) 1242 680116. Pictured during warm weather football training at the Desert Springs Football Academy are players from Norway’s first division Bryne Fotballklubb. Players training at the Desert Springs Football Academy.